Enecsys made two versions of the Gateway. 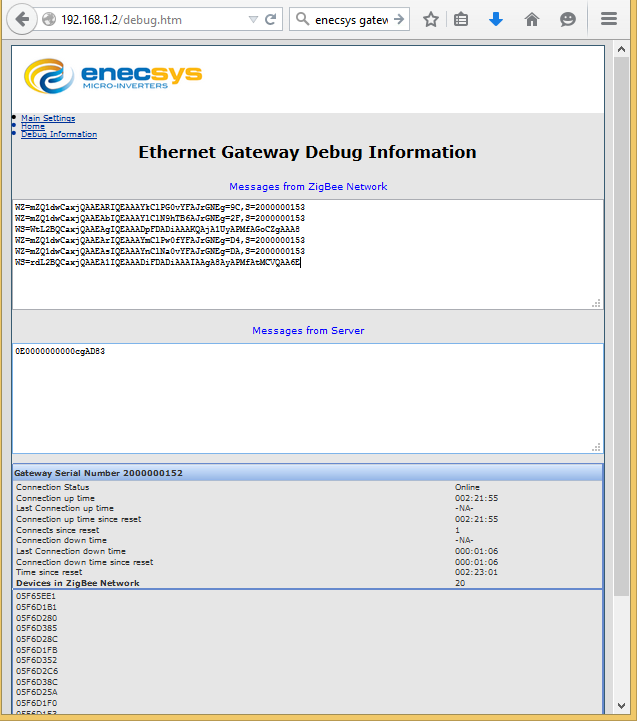 The instructions are to configure your enecsys gateway like the earlier version shown below. 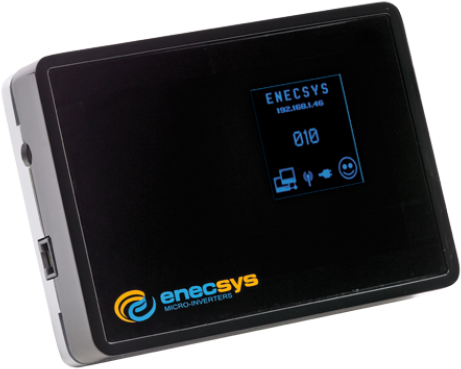 If your system does not look like the one above, please contact us directly at [email protected] to arrange getting connected to our system and configure your enecsys gateway. In order to make sure our system works with your setup, you will need to sign up for a 7-day trial via our sign-up page. You will need to enter your details and a credit card to pay for the annual subscription after the 7 day trial, and once we receive your data as described below in the technical set-up we will help you to get the system up and working. 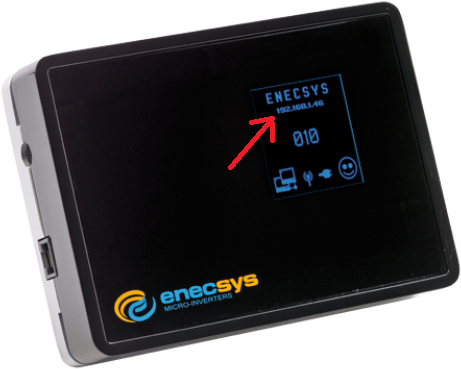 On the display, just below the word ‘Enecsys’ is the Gateway IP Address. 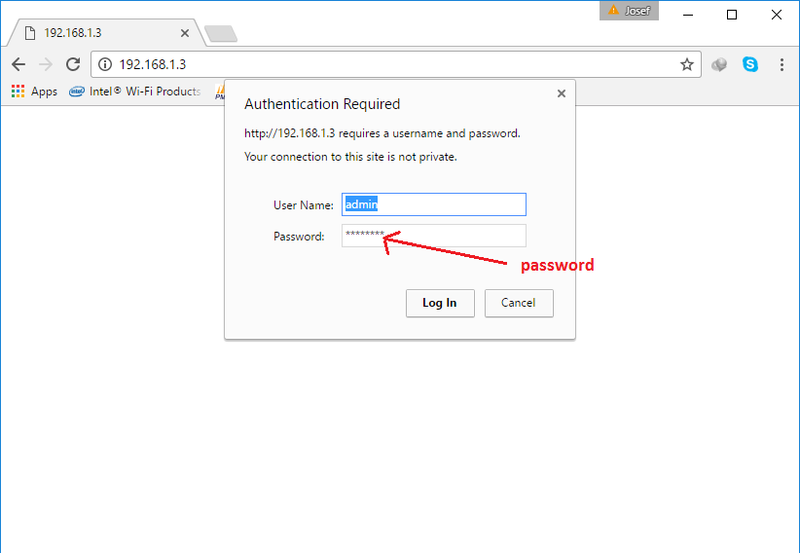 This is the local IP address of your gateway. 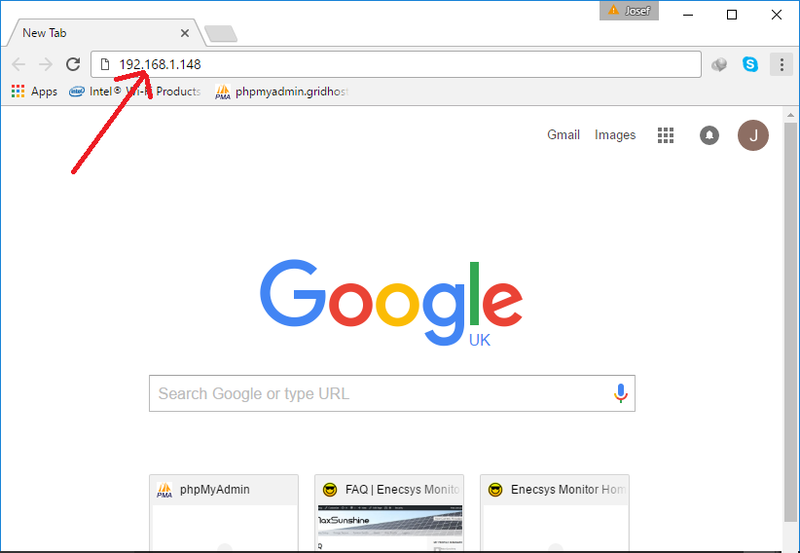 Open a web browser and type in the IP address from your gateway. 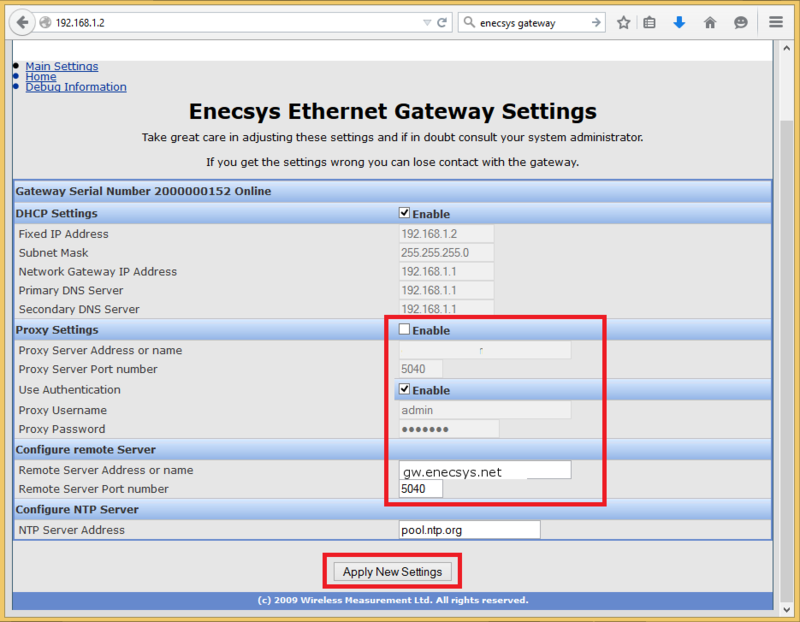 Change the ‘Remote Server Address or name’ from the old Enecsys Monitoring server to gw.enecsys.net and click ‘Apply New Settings’. 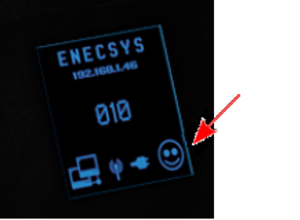 The gateway will reboot and in a few minutes, the little face on your gateway should be smiling again. Your Gateway is now connected. You can also view the communications between your gateway and our server on the ‘Debug Information’ link as in the image below.